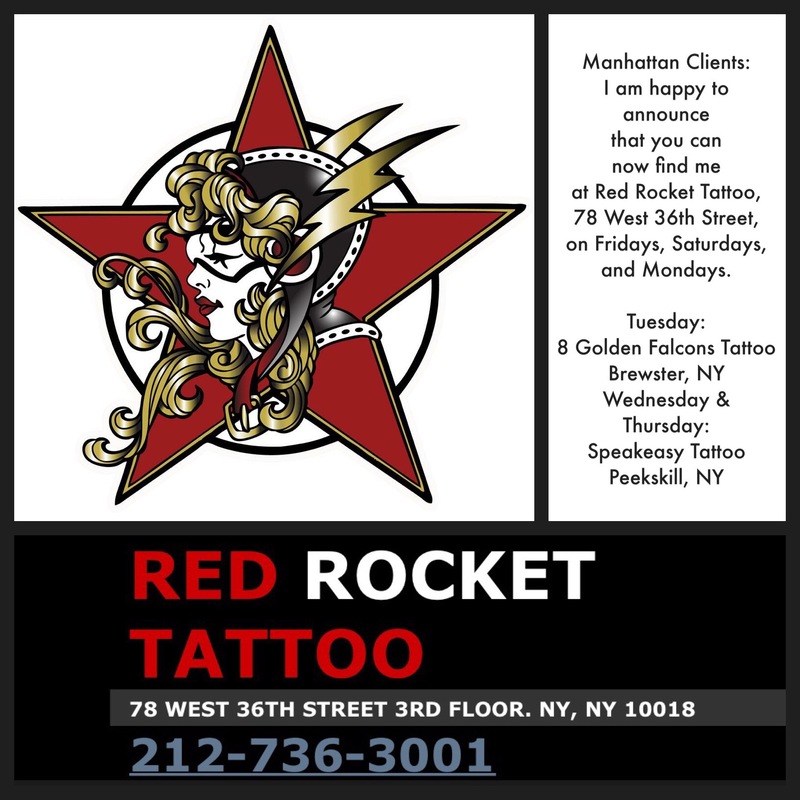 Manhattan Clients: I am happy to announce that you can now find me at Red Rocket Tattoo, 78 West 36th Street, on Fridays, Saturdays, and Mondays. For appointments at Red Rocket, call 212-736-3001. On Tuesdays, I will be at 8 Golden Falcons Tattoo in Brewster, NY, 845-363-1486. Wednesdays and Thursdays I will be at Speakeasy Tattoo in Peekskill, NY, 914-402-5910.